LG has said it will continue to release new generations of Super Multi Blue Players with full HD DVD support. This comes despite concerns that the DVD Forum - responsible for the development of HD DVD - would stop the player being sold due to its lack of iHD support. LG has released the following statement: "This is the first generation of the Super Multi Blue Player, and we are planning further variations and hybrids of this model which will include features such as iHD and other technologies to offer the consumer even more flexibility." Shoppers in America have spotted the player on sale in various electronics stores across the country, lacking the official HD DVD logo. LG had said it would release the player in February. 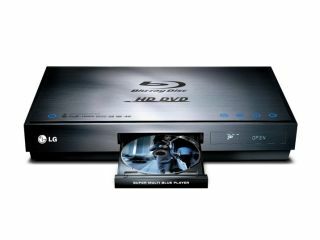 Korean electronics giant LG is the first company to announce one player that can play both HD DVD and Blu-ray discs. The player is expected to help end consumer apathy towards the 'war' currently raging between the two formats.